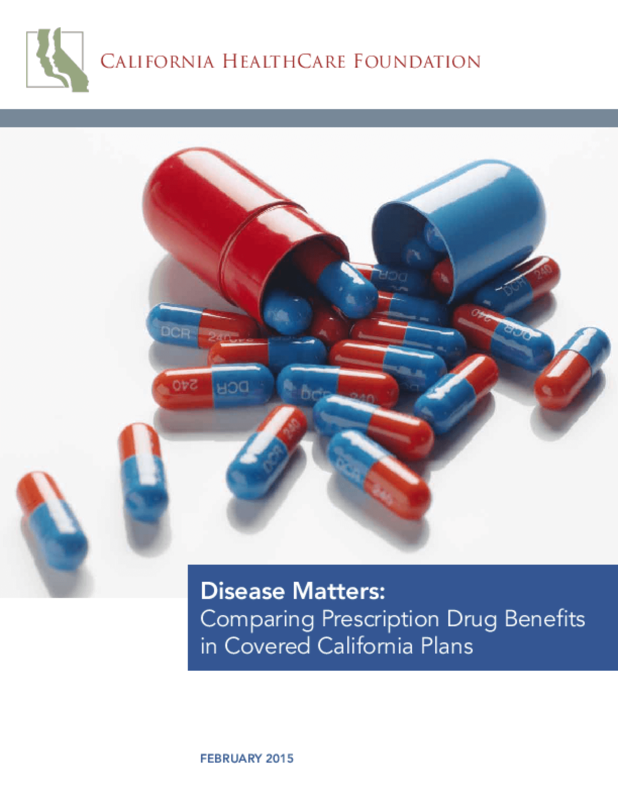 In 2014, prescription drug benefits varied greatly among the health plans offered through Covered California, the state's health insurance marketplace. There were also differences in coverage between these plans and California's most common employer-based health plans. In a project supported by CHCF, Avalere Health compared these new individual market plans to one another and to employer-sponsored insurance, the coverage source for most Californians. Researchers examined 2014 pharmacy benefits and how easily consumers were able to compare their options. The report offers insights into how barriers to necessary prescription drugs might further be reduced and how consumer access to drug cost and coverage information could be improved across the individual market. While this report focuses on health plans offered through Covered California, many of the issues it raises reflect larger trends in formulary design in the broader individual market.